These delightful little ebony statuettes depicting Queen Tiye and King Amenhotep III are just 6 cm (2.3 inches) high, and were found in the ruins of the king's harem palace at Gurob in the Faiyum. Over the years the image of the harem has been powered by 19th century visions of the Turkish Sultans and their flocks of exotic beauties. So were the harems of ancient Egypt the opulent sexual paradises that many imagine, full of nubile playthings waiting to "entertain" the pharaoh? Not really. In ancient Egypt, the king's harem was simply a designated royal women's and children's quarters, off-limits to most men. The harems did, however, play a vital part in New Kingdom diplomatic relations between Egypt and her neighbours. Foreign princesses would be offered to the king, along with a retinue numbering sometimes in the hundreds. A harem full of the most beautiful daughters of the most powerful rulers in the Middle East was a major boost to the king's status. In return, the pharaoh would send his counterpart great riches, but never a princess. Royal daughters only went one way. 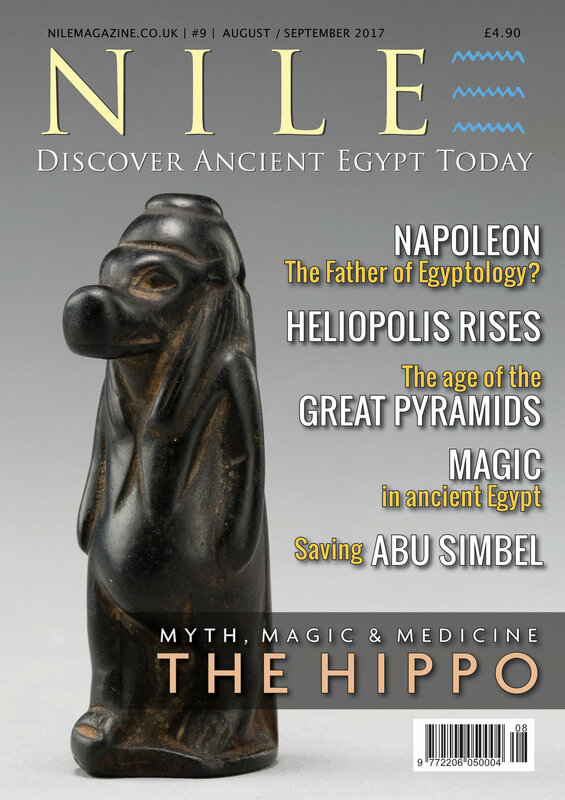 Enjoy the full article featuring the "Queens of the Nile" exhibition at the Rijksmuseum in Leiden, in the current issue of Nile Magazine. Subscribe to the glossy print or digital editions from the Subscribe page. Enjoy your Nile time!